Pilot joined the Sandbears kennel from Midnight Lady's and made himself at home instantly. 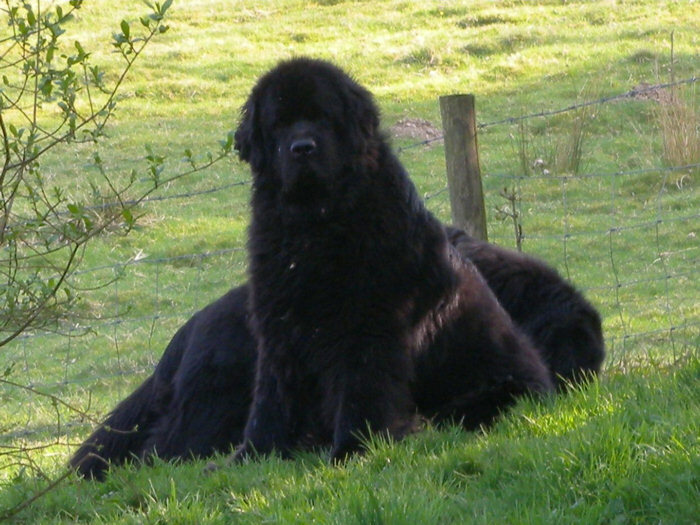 His temperament typifies absolutely everything that Newfoundlands are rightly renowned for. 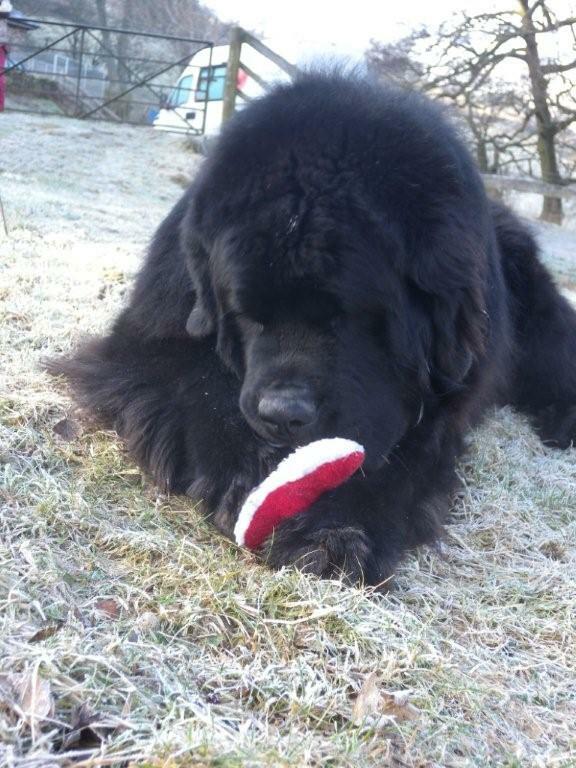 A healthy, active and very stylish Newfoundland with a wonderfully gentle and affectionate nature, Pilot is now enjoying a happy retirement having added his bloodlines to our breeding. "Mum says I'm a big softie. Is it that obvious?" Pilot has super health test results. His hip score is a very low 6 (3/3) under the UK's BVA/KC scheme and he has 0 (0/0) Elbows. Heart tested in August 2010 by colour flow echo-doppler, he is Normal with an exceptional average aortic velocity of just 1.0m/sec! Pilot is DNA tested Clear for Cystinuria.